Some of my fondest memories while growing up in Charleston are from my years living at (38-D Hagood Ave) Gadsden Green public housing. 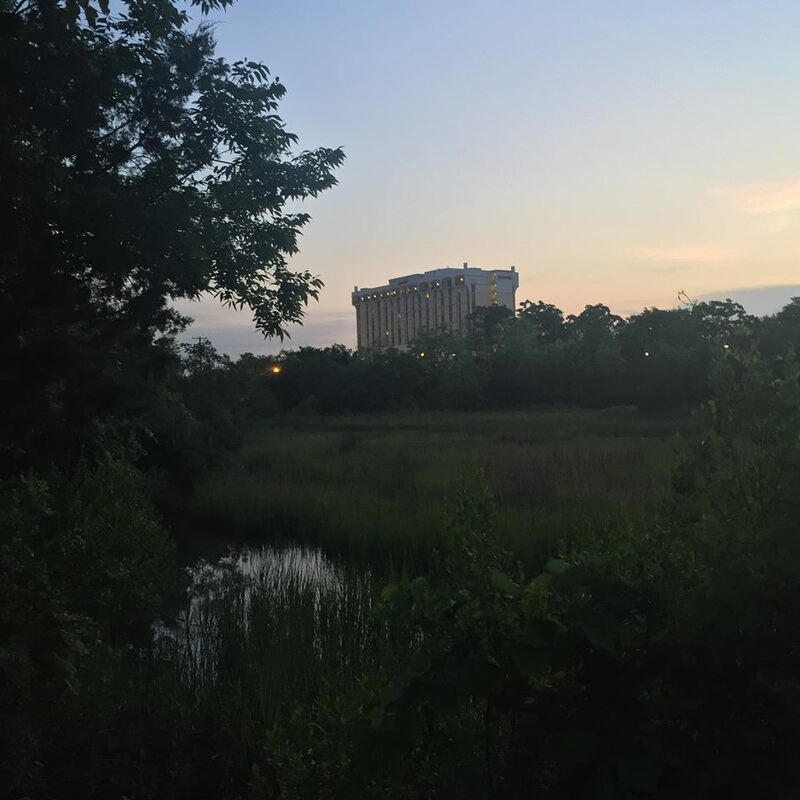 Although our apartment faced what was then one of the cities dumping sites, because the site itself was sandwiched between the Ashley River, wetlands, and Gadsden Creek, our family and the other residents of Hagood Ave felt we had one of the most beautiful views in all of Charleston. And, for whatever reason(s) mom always referred to the dump as Treasure Island. And because we always found such cool stuff there, we believed it was indeed Treasure Island. Gadsden Creek added additional enjoyment and adventure for me, and friends. We spent a lot of time exploring Gadsden Creek in search of fiddler crabs, and other creek and wetland habitats. The creek is as beautiful today as it was back then. The thought of developers piping and burying Gadsden Creek and filling over 4 acres of marsh and creek is heartbreaking and should not be allowed. Development should be about preserving and enhancing our natural ecosystem and environment, not destroying it. In fact, an important part of Charleston’s history is its commitment to preservation. Additionally, wetland serves as the first defense against flooding as well as a natural wastewater purification system. The U.S. Environmental Protection Agency estimates that half of the 220,000,000 acres of wetlands that existed in the early 1600s has been lost as a direct result of human activity, and that the United States currently loses approximately 100,000 acres of wetlands annually. The absence of wetlands causes local governments to spend significantly on water purification plants, levees and dams to replace the natural ecosystem services. Restoring degraded wetlands can be a lower cost method of storm water management and storm surge protection, with added benefits for biodiversity, recreation, and pollutant uptake and greenhouse gas emission reductions. We must save and revitalize Gadsden Creek. and tagged Charleston Waterkeeper, Coastal Conservation League, Gadsden Creek community group, Maurice Washington. Bookmark the permalink. Post a comment or leave a trackback: Trackback URL. Saving Gadsden Creek and building a public walkway along it would be a beautiful addition to Charleston-a welcome extension to Brittlebank Park. Preserving this creek is important to Charleston and its posterity- ecologically, socially, and historically. We need our waterways and green spaces to be protected and enjoyed as much as possible!